When it comes to Bed Bugs, prevention is your first and easiest defense. 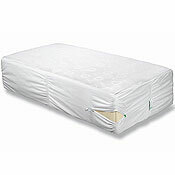 Encasing your mattress, box spring and pillows provide to be a valuable tool in preventing bed bug infestation. Using a quality bed bug proof cover is an important component in protecting your bed and making the inspection and treatment of bed bugs much easier. 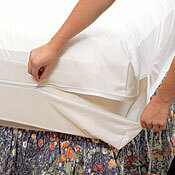 All of the bed bug covers we offer have been independently tested and proven to be bed bug proof. A bed bug proof cover needs to be constructed from a fabric that is engineered to be bed bug bite proof with tightly sewn seams and a secure zipper that closes all the way. 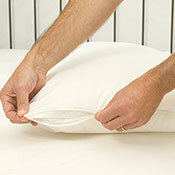 Our selection of top quality bed bug covers have the added benefit of being breathable for a comfortable night's sleep. See more solutions for getting rid of bed bugs from our bed bug solution guide.